Chorleywood | Where Angells Tread! An early start yesterday, a late start today. After the early church service we’re parking up on Chorleywood Common by mid-day. Rain is in the forecast for tomorrow so today the priority is to make the best of it…and, when the sun’s out like it is, that’s no chore. The football pitches next to Chorleywood House are heaving with energy and the air is full of ‘football dads’ barking orders to ‘Close him down’ and ‘Get rid’. Leaving them behind we drop down into the Chess Valley. Here the tranquility is broken only by the occasional dog walker. For a while we’re retracing yesterday’s route (well, in reverse) and we have the place to ourselves. More shouting as we pass the ford near Valley Farm. Someone’s been exercising a falcon, of all things, and the bird is sitting up in a tree by The Chess, enjoying the sun. The encouraging whistles and accompanying curses seem to be having little effect. We leave them to it. As we approach Latimer we pass the Liberty Tomb, hidden away in the hedge. Someone needs to tell Boris that leaving the European Union will do little to revive liberty…it’s been buried in the Chess Valley for many years. 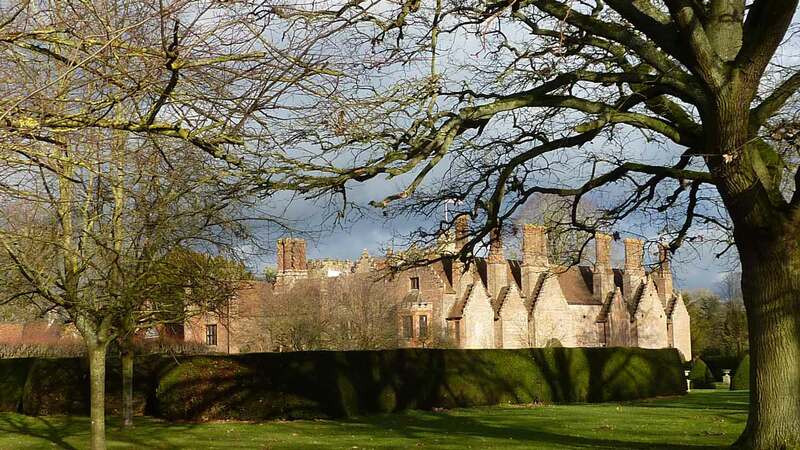 We cross The Chess at Latimer and head up out of the valley, passing around the back of Chenies Manor with its early example of tax avoidance…one whole side of the house is without windows! From here it’s due south to Chorleywood and back across the Common to the car. By now it’s late afternoon and we’re back to the car as the light starts to fade. A 7.6 mile walk that made the best of the weather…and sure enough, the rain arrives as we head home.